A week later and the weather is balmy; cool first thing in the sharp breeze but soon warming into a cloudless and hot day. The back road that skirts the eastern end of the reed bed passes through small pastures and fallow fields divided by thorn shelter belts, untended olive groves and finally a few houses and orchards. 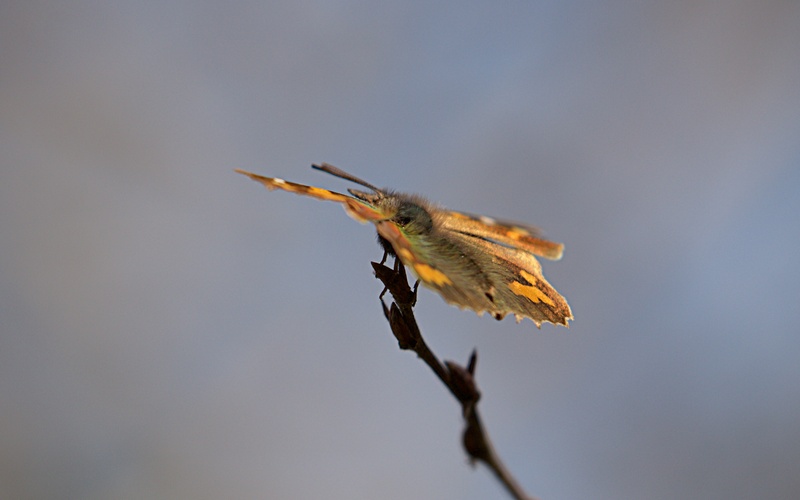 Along the road, the Spring flowers are starting to appear as are the overwintering butterflies. Brimstones (Gonopteryx rhamni) have been on the wing all month as have peacocks (Aglais io), but today painted lady (Vanessa cardui), holly blue (Celastrina argiolus) and, best of all, a long snouted and primitive looking nettle-tree butterfly (Libythea celtis) are out. The nettle-tree butterfly’s host tree for egg and caterpillar is, unsurprisingly, the nettle tree (Celtis australis), which I have never heard of, and will have wait until the distinctive leaves appear to identify it. 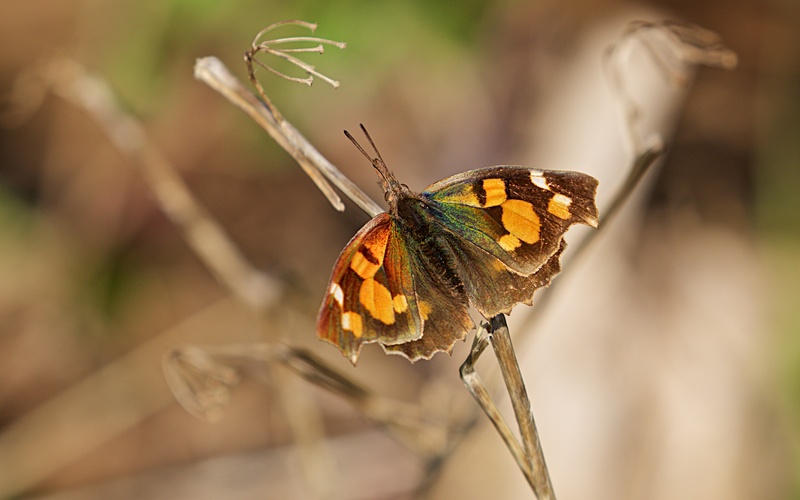 The butterfly flies low and settles obligingly and, like others, heads for damp mud or puddle edges to take up sodium and other salts, but also flies up to settle on a branch and catch the sun. 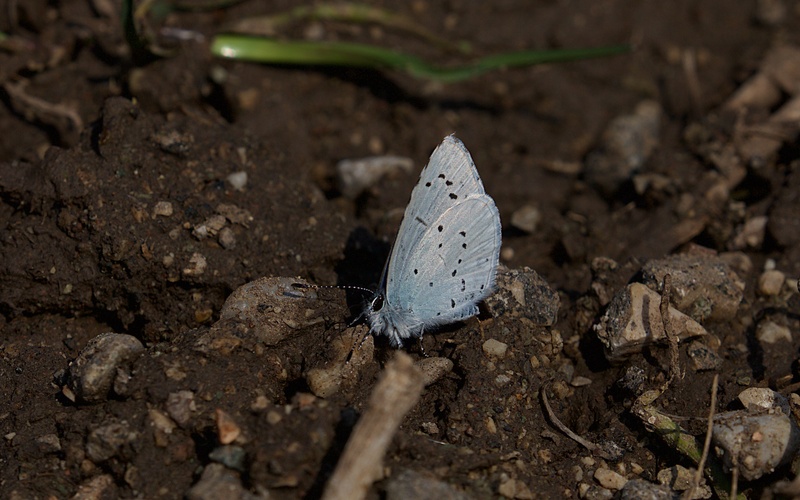 Puddling is mainly a male activity in all butterfly species, since these nutrients, unavailable in nectar, are loaded into their sperm. I saw another nettle tree butterfly today in damp fields near Lake Skadar, so they are possibly widespread in the lowlands. I have also seen Camberwell beauty (Nymphalis antiopa) on three occasions but they move on at the slightest disturbance and being such strong fliers are going to be difficult to get close to. 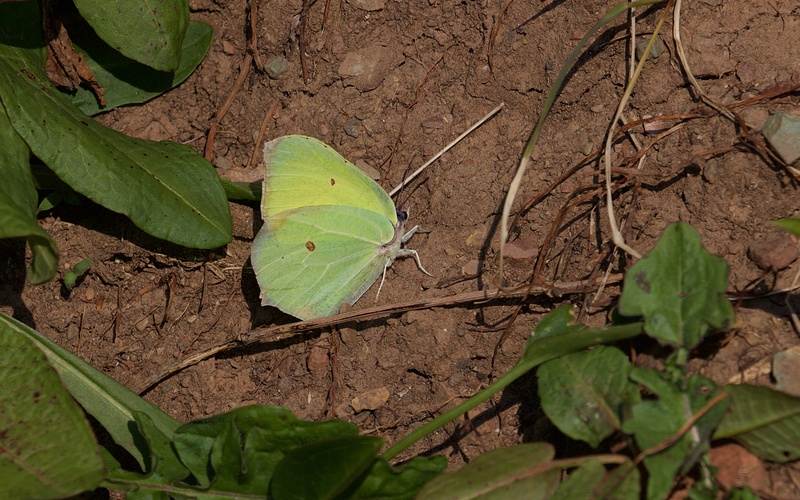 Brimstone and holly blue taking up salts from the mud. 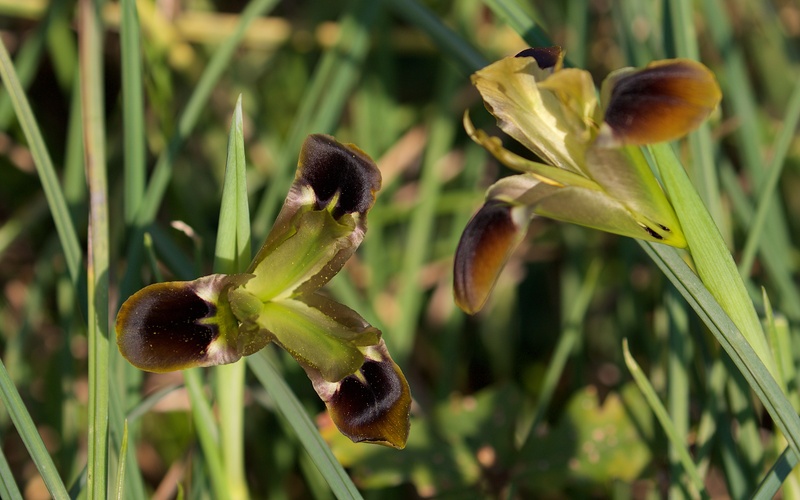 Attractive in an outrageous way is the snake’s head iris (Hermodactylus tuberosus) that occurs in discrete patches along the roadside and within the olive groves. This is unobtrusive at a distance in its shades of green and brown but, close up, exotic and tropical. 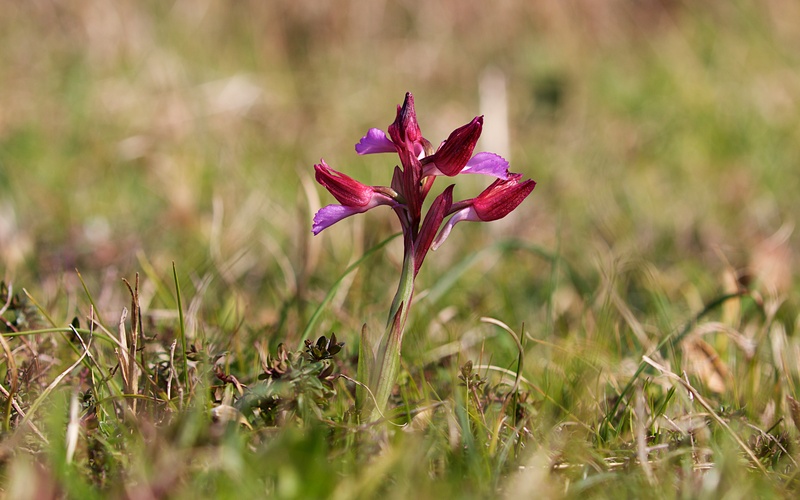 But for Mode à Paris colour and poise, the pink butterfly orchid (Orchis papilionacea), which was just emerging in a patch within one of the old pasture fields walks away with the prize. 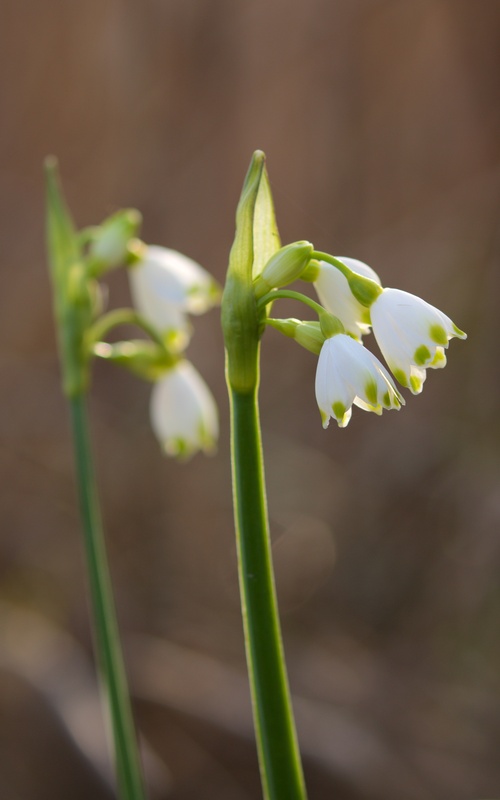 The summer snowdrop (Leucojum aestivum) is elegant but constrained, and plentiful in waterlogged areas of the reed bed edge. 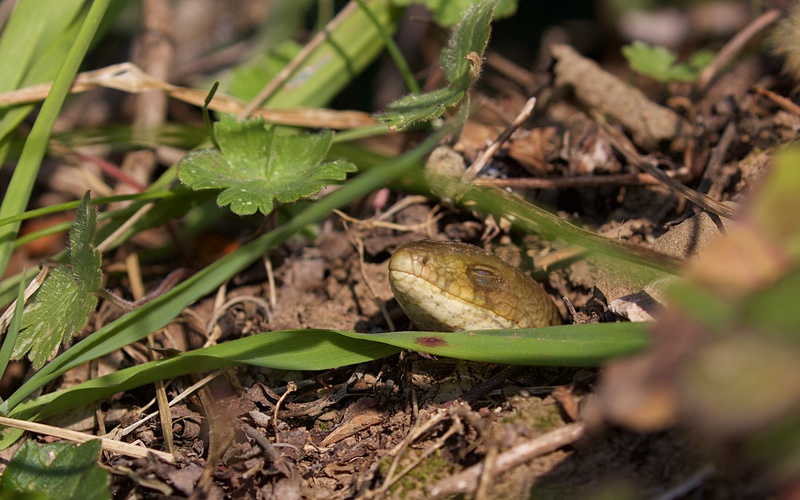 A beauty of another kind is this glass lizard (Pseudopus apodus) that was half emerged from its neat hole and, when approached, it backed in and had to squeeze a bit to make what was a slow getaway. Interestingly, it closed its eyes for the final exit and looked somewhat constipated. All very Harry Potter. 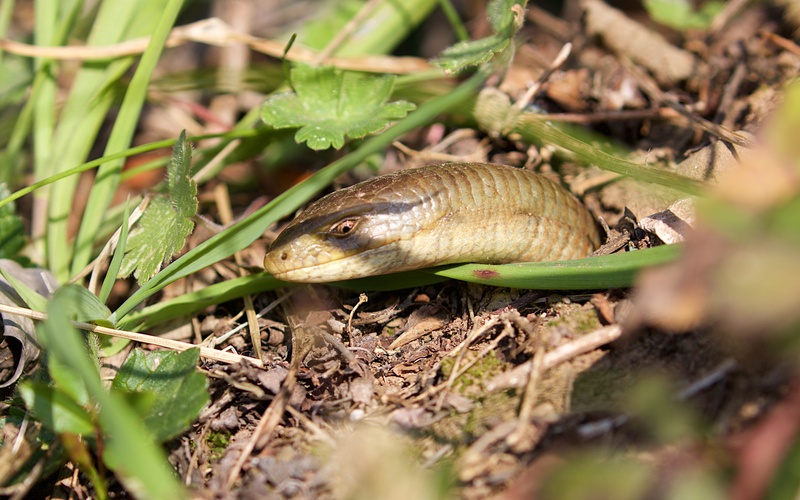 Young glass lizard retiring unhurt. 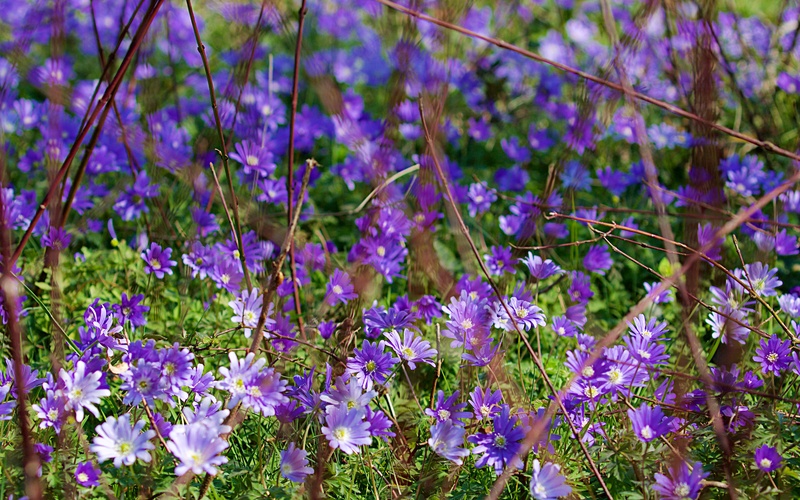 Finally, I have seen Balkan anemone (Anemone blanda or perhaps appenina; I am unclear on the difference) everywhere, but nowhere better than an overgrown orchard near the sea. Blanda does not mean bland but seductive. 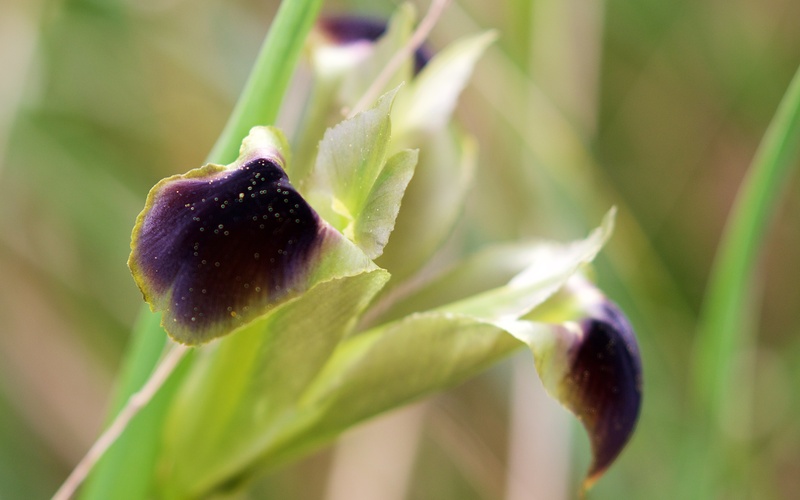 So seductive that it now grows in many gardens in England and elsewhere.